It all started when the old mainsail from our Valiant 40 was replaced and we couldn’t just throw away all the memories that were embodied in the fabric. So, in its second life it served as a tent for several parties and back up shelter for a wedding. A need for travel bags for an upcoming world adventure was what finally got us thinking about recycling the fabric to a different use altogether while at the same time continuing the memories of our various sailing adventures. One bag led to another, then another. We made bags for family, then friends -- and the word began to spread. Our bags have been sold all over the United States and internationally, walked the runway at Fashion Week, and popped up in little surf shops, wooden boat festivals, and boutique hotels across the country. 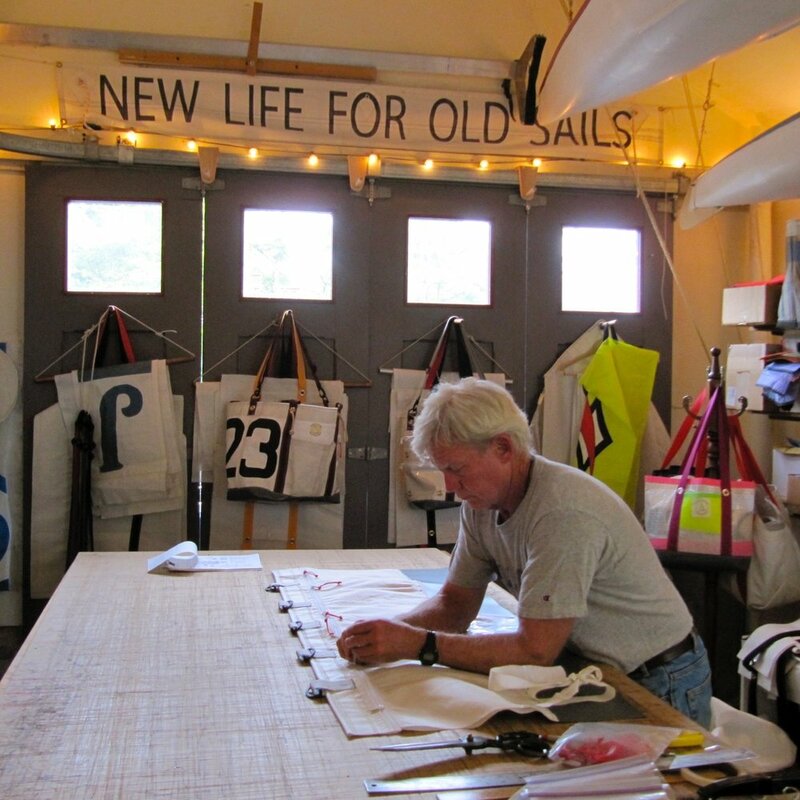 Barkley Sound Bags is a company that makes custom bags out of old sails that have crossed the oceans, been in international competitions and spent the night in quiet anchorages. Each bag is hand-sewn, and laid out with attention to its original construction. Batten pockets, cringles, reef points and bolt ropes are left in and give each bag its own identity. Why Barkley Sound? It has been a favorite cruising destination for our family for 20 years. On the edge of the Pacific, it is hard to reach, teems with wildlife, and has some of the quietest anchorages anyone can find. We make duffel bags (square and round), tote bags, bucket bags, messenger and diaper bags; purses and ditty bags; dopp kits; iPad covers. The line-up is ever changing. Check out the shop to see what we've been up to. Each bag is sewn from recycled sail material. We are a one-man shop, located in Seattle, Washington.